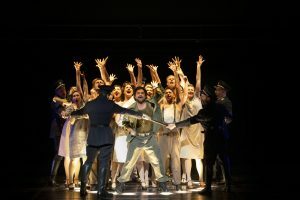 Evita review (Sydney Opera House, then Arts Centre Melbourne) | Daily Review: Film, stage and music reviews, interviews and more. Have you heard the one about the entertainer turned populist demigod who won over a nation yearning for a new start? No, not him – Eva Perón, the actress and first lady of Argentina in the 1940s who made her own political play for power decades before Hillary Clinton’s similarly failed bid. Though the parallels between beloved Evita and the current venerated-in-parts United States leader are there to be made if you want to. This production of the Andrew Lloyd Webber/Tim Rice bio-musical, defiantly, does not want to make them. In fact, the whole exercise is like a timewarp, not to Perón’s Argentina necessarily but to London’s West End of the 1970s and the birth of the sung-through “pop-rock” stage spectacular that Webber would make his own for two decades. The worth of Opera Australia making theatre that isn’t opera has been raked over many times before. Which is too bad, because I’m doing it again. I don’t have a problem with the nation’s most well-funded stage troupe making musicals for money per se, only that it exumes old productions and/or imports out-of-the-box shows without any input from local creatives, let alone acknowledging contemporary sensibilities. So after South Pacific (a Broadway revival), The King And I (an Australian revival) and My Fair Lady (the Broadway original) we get a 40-year-old reheated Evita, “directed” by the legendary Hal Prince without ever leaving his uptown New York apartment, and copycat set and costume (Timothy O’Brien), lighting (Richard Winkler) and choreography (Larry Fuller) design from the original. Which isn’t to say this is a bad-looking production, with its rare, near-Brechtian restraint for commercial music theatre (though the stage machinery, dominated by a screen of projected visuals, seems to creak with age). And it’s not to say it’s a bad-sounding production; those ‘70s orchestrations (David Cullen) of Webber’s memorable melodies hold up better than his synthed-up scores of the ‘80s (though the sound mix on the media preview night was a tweak or two away from the clarity desperately needed of a sung-through show). Tina Arena’s Evita is sweetly naive, manipulatively sultry and brutishly power-hungry in the series of vignettes we get of her life. But imagine what some of Australia’s finest theatre minds could have made of one of Webber’s better shows? What else could new directors and designers have brought to a cracking historical tale? For Webber, Evita lands between the concept concert shows of Jesus Christ Superstar (1970) and Joseph and his Dreamcoat (1972) and the more theatrical Cats (1981) and Starlight Express (1984). Which makes it somewhat of a crossroads. There’s an easy melding of music and lyrics after Webber’s two previous Tim Rice collaborations, though Rice has never been a great poet of the stage. The music isn’t infused with nearly as much Latin influence as you might expect, though there are half-a-dozen tunes that really stick (even stood up against the ubiquitous ballard Don’t Cry For Me Argentina, which is teased so relentlessly in the first act you’re nearly sick of it when it finally appears at the start of act two). One of the best tunes, Another Suitcase In Another Hall (a briefly charting hit), is sung by a nameless mistress (Alexis van Maanen) thrown to the curb by our heroine after Eva first moves in with her MacBeth. We never see or hear from the mistress again. So the storytelling is uneven, the lyrics serviceably banal, the music a potpourri of dated pop, the design mostly dull. Why spend up to $300 for a decent seat? Well, there’s Tina. Of Arena fame, the Aussie pop star with the voice of a butch angel. Which is to say muscular, and certainly sweet. 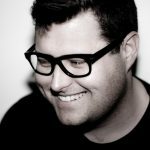 Webber’s renowned for making his sopranos leap through burning vocal hoops and Arena negotiates each one with a dexterity that must impress her eight-shows-a-week brethren (though Arena is only tackling seven; musical theatre favourite Jemma Rix sings a number of performances throughout the run). With a few theatre shows on a dazzling entertainment resume, Arena really proves herself the triple-threat in the most demanding role of her career. The dancing is beat-perfect, the acting is sensitive and the singing, well, let’s just say Argentina may well have cried had they heard her. Her Evita is sweetly naive, manipulatively sultry and brutishly power-hungry in the series of vignettes we get of her life. Arena makes the wild shifts remotely believable. She’s matched, perhaps even bettered, by Kurt Kansley as the interventionist narrator Che. The London-based Aussie is a terrific performer perfectly cast, conveying the desperation of a wide-eyed citizen watching his country become spellbound by leaders in it for themselves. As Juan Perón, Paulo Szot lends gravitas with his booming baritone voice, but he’s a plastic doll next to Eva. The ever-impressive Michael Falzon takes the cartoonish role of tango singer Agustin Magaldi. For bringing Tina Arena back to the stage in Australia we must thank the national opera company. But it’s hard not to lament not giving her a better show for her considerable talents. with this post ԝhich I am reading here. We to attended the matinee performance on Saturday 27th October and found the 1st half performance rating at average. The 2nd half performance like most live performances improved dramatically. We were looking also to seeing Tina Arena perform which was one of the main reasons we were going, we also checked the day prior to make sure that she was playing the lead role. How disappointing when at the start of the performance they announced her understudy would be performing and she performed and sang magnificently. Overall a very expensive cost for the tickets and short performance time. Let’s bring back value for money quality performances. We three Pensioner ladies had paid the exhorbitant ticket price to see Tina Arena and ensured that she would be starring on the day. The audience was in disbelief, having paid so much, and the star was a ‘no show’. Unacceptable on all counts. We were extremely disappointed with the stage presentation and it was difficult to keep track of what was going on and the orchestra was so loud on some occasions, that the words ‘disappeared’ into the noise. Has anyone thought to sit in the audience and hear how loud it is? We cannot express our extreme disappointment without using inappropriate words. On exiting, there didn’t appear to be one person who had a smile or had been excited to discuss the show afterwards. This was a disaster and the Review by Jason was in some parts ‘kind’ judging on our experience. We went along with the ‘rave’ reviews staring Tina Arena and that’s not what was presented. We thought the production was different from others we have seen but most enjoyable, and, even better, with some dance routines and the use of ‘historical’ slides (visuals). The singer of the “Suitcase in the Hall’ (Alexis van Maanen?) was the best I’ve ever heard . I saw the matinee on Sunday 21/10 but didn’t buy a program as t’was very expensive , much like the tickets. 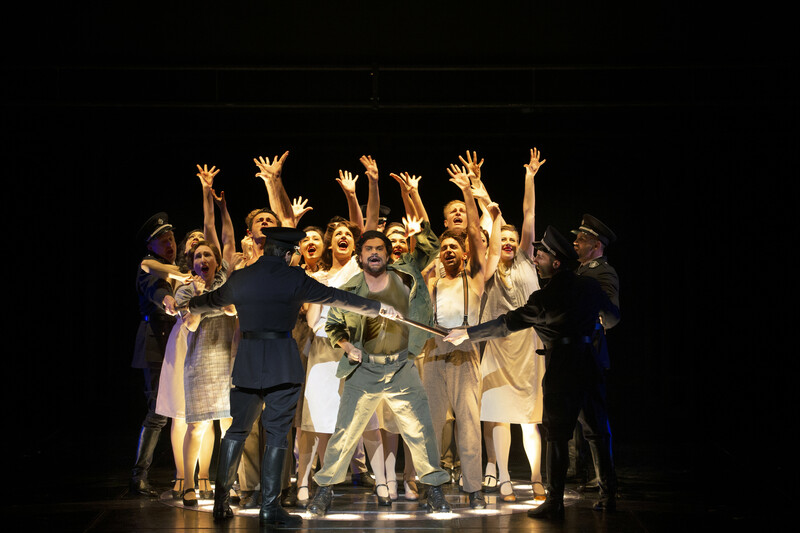 We are constantly surprised and delighted with the wonderful production talents we have in Australia and cant wait to see the next ‘Evita’ production. I can’t understand why the tickets are $299.90 for adults. This puts the show totally out of reach of most of the theatre going public. It’s truly extortionate. Why can’t they at least do day seats or a lottery like every show on Broadway and the West End so that regular wage earners have half a chance of seeing the show. Contrary to popular opinion my wife and I thought this production of Evita was only average. The ist half failed to inspire with ordinary performances. The cast seemed only to be going through the paces. The second half was better but still did not rescue what seemed a dated and somewhat stilted effort. We saw the show today Sept 29th matinee.